Concrete always had the great advantage of being really tough and the great disadvantage of being grey and ugly. It's a little known secret that it doesn't have to be that way! 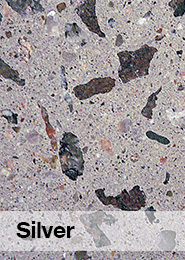 Renobuild utilise wonderful machines and systems developed by HTC-Sweden that take your regular concrete floors and transform them into brilliant, easy-clean, environmentally-friendly and durable floors. Whether it's for commercial, industrial or residential use, indoor or outdoor, a Renobuild Polished Concrete floor will really make you appreciate the advantages and beauty of having concrete as an exposed floor surface. Some advantages of every Polished Concrete floor include it's unique finish, no two floors are the same. Every floor will reflect the enviornment it is in and will look different throughout the day making it a surface you will never get tired of. With some forward planning you can also customise your floor to make it your own! Design your own mix and add in something to make it yours. We have mixed in everything from copper coins to coloured glass to result in a truly unique finish. We have four surface finishes to choose from, each with their own advantages, read more below. Platinum produces the glossiest finish and is the concept we normally recommend to our customers. It involves more grinding stages than the other concepts. The result is an unbeatably durable floor. Truck wheels and substances leave no marks on the glossy surface and light reflects gently off the floor. See more here. brilliant as a Platinum finish. Gold produces a floor with excellent resistance to marks from truck wheels, etc. 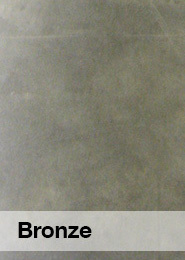 HTC Superfloor™ Gold is ideal for concrete floors that are already even and level. See more here. The Silver concept is a version of Platinum. Using this concept, you grind as deep into the concrete as with Platinum, but do not polish it. The ballast is exposed as with Platinum. Silver is therefore excellent if you want a floor with a matt surface finish. See more here. Bronze is the concept with the least number of grinding and polishing stages. This concept does not involve exposing the construction concrete. Instead, the top layer of the surface paste is polished but not removed. This process creates a stronger surface paste with a shiny finish. See more here. 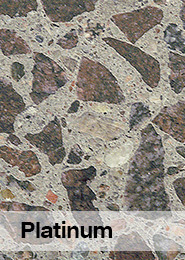 For more info on Polished Concrete download our brochure. 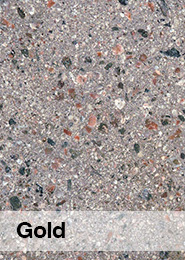 Want to know more about Polished Concrete? Download our brochure using the following form or reach out to us here and we can answer any question you have. If you would like to learn about care and maintenance for hard floors like Polished Concrete, head over to our Care & Maintenance page.